The future of sports has been linked with the success of virtual reality and augmented reality. Intel has unleashed their True View virtual reality replay. Since 2016, Microsoft has been touting the future of Super Bowl viewing using its HoloLens. Unfortunately, sports is a spectator sport not a solo one. Especially as you watch the United States college football rivalries. Two words: Toomer's Corner (full disclosure: I am an Auburn fan). Or the European football club blood feuds. Two more words: England fans. Sports means passion. Sports is a shared affinity with communities of people who come from the same city, graduated from the same college, or have a shared pride for a country or region. Sitting around a bar or in a living room with fellow sports affectionados makes up its core. It's not about donning a headset to investigate a play and have no one to shout at the officials with. Another issue for sports going mixed reality is the business models for augmented and virtual reality are failing to generate revenue. As Meta, one of the innovators in augmented reality, is closing its doors due to Trump tariffs and China government intervention. IMAX also announced it is stopping its foray into virtual reality. Sure, both are future looking. Yes, they capitalize on technologies we have been dreaming about for decades. But what's the technologies practical use? What can virtual and augmented reality do above and beyond the traditional two dimensional digital high definition? Yes, it allows you to look around in multiple directions. But can't you do the same thing when you physically attend the game? Here's the rub: note that sports teams need to sell tickets to physical stadiums. If virtual reality real time streaming goes mainstream, ticket sales could suffer. And nothing would look worse than watching a NFL game that has an empty stadium. Have you seen a baseball stadium lately? So what's the savior for the marriage between sports and mixed reality? Traditionally, to get on the radar for a sports team in the United States, you must be on a team whether it's in high school or college. And then your performance must make the rounds of local sports news. A super athlete is really about the stats that they generate (more on this later). Secondly, a super athlete is about the buzz they generate to increase a shared affinity with communities of people. Then a sports organization sends a scout to watch them practice, see their discipline, and see them in action when the game is played. Then, of course, there is the negotiation to get a player to be your sports athlete and not your competitors. But what if you are not in the United States? For example, how does potential NFL super athletes get on the radar? What if NFL linebacker Tamba Hall hadn't immigrated from Liberia when he was child? Or Ezekiel Ansah hadn't come from Ghana? The answer sadly is: nothing. Nothing would have happened. Lost potential. Lost games. What if you can find your next super athlete as aliens found "The Last Starfighter" in the 1984 cult classic? Or what if sports teams followed what the Pentagon has been doing for years? Recruit those who play online games. Can a super athlete can be discovered as a couch potato? No. Can a super athlete be found playing sports in a virtual game theatre? Maybe but probably not. But what if you could link your physical self with a virtual avatar? A couple of years back I wrote an article that wearable or quantifiable-self is missing the mark on its revenue potential; the article was entitled, "I Love Your Data, Daddy." What if super athletes shared their quantifiable data? With partnerships with Fitbit, Garmin, and Apple Watch – they can safely, securely offer subscriptions to their training habits. How many reps they do with weights? What food do they eat to keep their calorie intake high? How many kilometers/miles they run? And offer a Spotify service of a monthly data subscription to train like your sports heroes. Because sharing your workout routines with family members and close friends can only go so far. Normally it's used to guilt, shame your wife or husband to compete against you around how many steps you did that day. And really, who cares about how many steps? Many use wearables to just keep tabs at where their loved ones go – especially those with Dementia. So how does quantifying one's self become something that affects your reality? Companies such as Gravity Jack, who's motto is "Creating The Future Experience," have been working on augmented reality applications for customers since its inception in 2009. However, these augmented reality applications have been focused primarily on purely marketing efforts or DIY (do it yourself) walkthroughs. At my current company, Qualex where our motto is "See Beyond The Data," we are combining the real-time data that is collected on wearables (via a common API) and feeding them into virtual avatars of the sports fan. Then fans of a particular sport – NBA, NFL, or MLS – can download a sports team's AR app and project a football, a baseball, or soccer field onto any flat surface then play a virtual game with friends who also share their data and have built an avatar. So the more you train, the more you work out, the more you eat healthier and share – the more your virtual avatar is built up. We also ask for them to volunteer game data of playing in the park and league play to fill out the avatar's capabilities. This allows for an augmented reality experience when you are at a coffee shop or in the stadium waiting for the game to start – to see how you would fair against friends. Bar tournaments in local neighborhoods can be set up during half-time or on designated days. On top of that, as we are also aggregating the data from super athletes into animated avatars of themselves. That, in turn, translates into a fan can play against their sports heroes. Note, their skills usually will be no match, but it inspires fans and future super athletes to train harder, become more disciplined, and get more active. And the virtual fields that they play on become an opportunity to advertisers. Virtual partners around going to specific sports retail outlets, vitamin supplement stores, and gyms can partner to give discounts and offer faster upload times for their skillsets. As a service like this goes more international, potential super athletes from Latin America, Southeast Asia, Oceania, and Africa can get on the radar for recruitment. 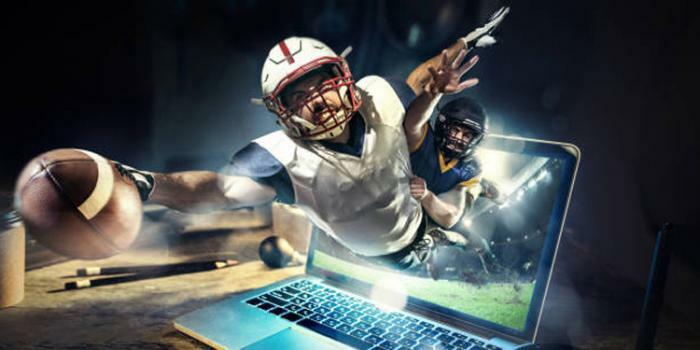 As avatars of fans versus avatars of super athletes play out on virtual playing fields in restaurants and bars – it helps sports teams pinpoint those with statistical success. Sure, there will be false positives. Those that put their wearables on their dogs or cats and allow them to add to their steps or pay persons to work out for them to gain skill. Regardless, it begins to build stronger affinity for teams and outcomes. It disrupts the current era of stats only fantasy leagues. Imagine being able to subscribe to your fantasy league players and play out simulations. These simulations can be played out in virtual reality headsets or via mobile devices. Now a solo activity has become a team sport. And now the future of sports has been irrevocably been linked with the success of virtual reality and augmented reality. How? Because we make you the future.